Tickets now on sale for Intrigue x Spectrasoul LP launch – go to www.intrigue.org.uk/events or www.thekla.club to purchase — Earlybirds going for £10! When the earlies sell out standard tickets are £12, more on the door. 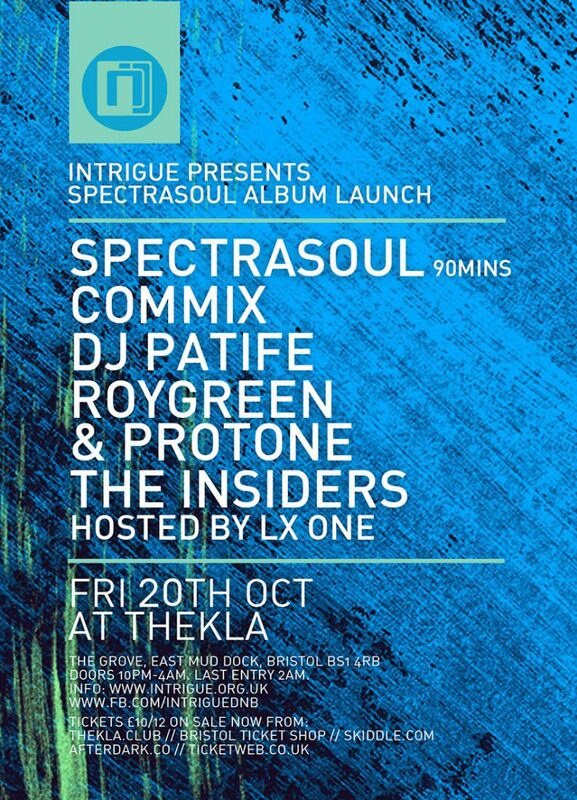 The event is on Fri 20th Oct at Thekla with Spectrasoul (90 mins), Commix, Patife, RoyGreen & Protone and The Insiders.